Moving into an old farmhouse does have its perks. Old farmhouses sometimes come with old farm treasures. While moving in I discovered all sorts of cool and nifty relics and boy did the wheels in my mind get to turning! 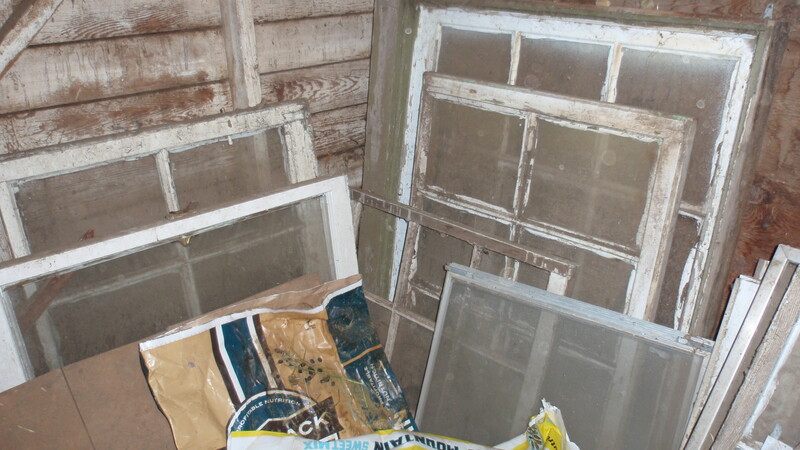 One of the nifty little discoveries was a stack of dusty, weathered, wooden window panes. They were covered in barn funk and spider web, but the potential for a nifty craft was enough to make my skin tingle! Dirty and Dingy but I can see the potential! 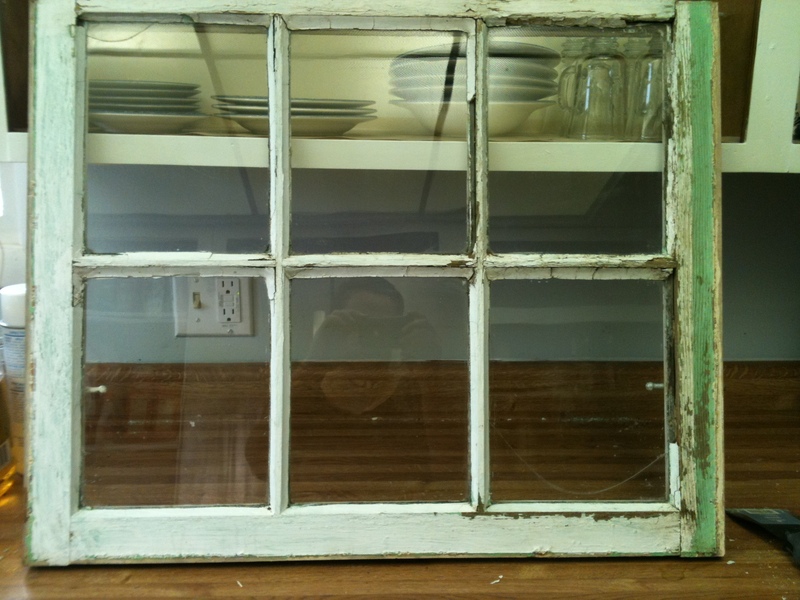 Some of the old windows were missing panes of glass, and some had cracks, but that didn't limit my imagination. In this post, I will go step by step on how I made one sad, forgotten, window into a vintage, picture frame. Now that you have all your supplies, I will give you the step by step on how to make trash in to awesomness! Step 1. 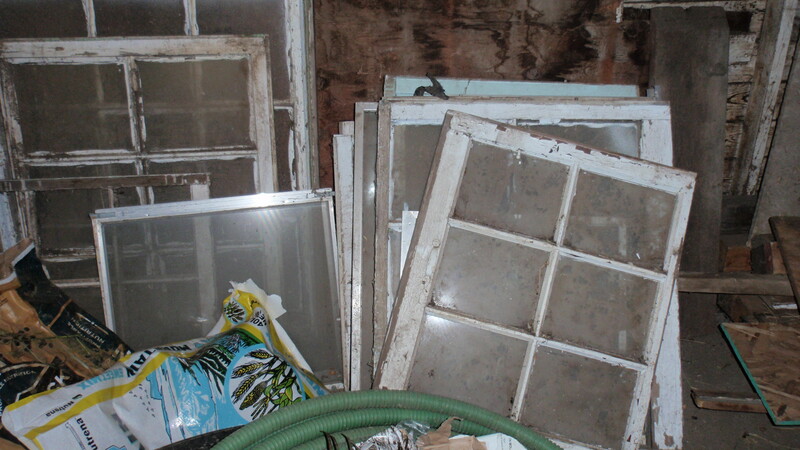 If you have a stack of windows like I did, pick the one that has the least amount of damage to the panes of glass. If you have some that were cracked, like I did, don't worry. Its only gonna add to the rustic appearance. Step 2.Find a flat sturdy work surface and protect anything you dont want painted with a sheet of plastic or a garbage bag. A lot of the time we forget this step, because we are so eager to jump into creative bliss, but don't go ruining the dining room table with a glob of paint. Step 3. Okay time to roll up those sleeves and get to cleaning. The first thing I did, and I recommend, is to vaccum all the old barn funk off the window. I used the brush attachment to my vaccum to do this. 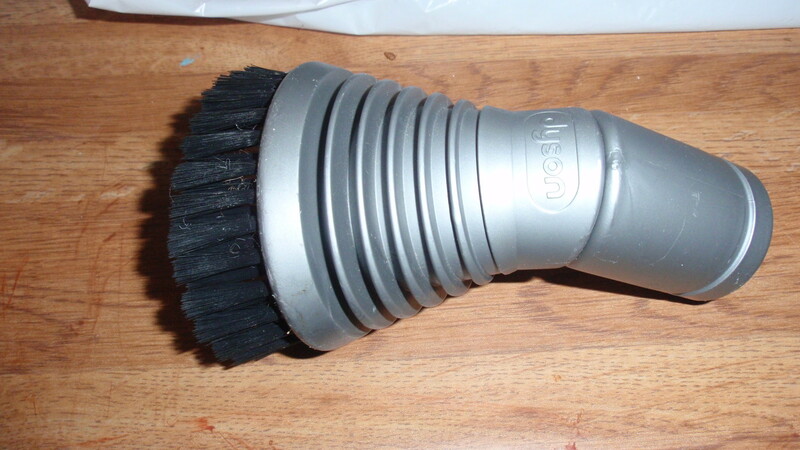 If you dont have one you can always use an old paint brush to brush off all the dust and debre off. Just make sure you get as off as much dirt, grass, loose paint, spider webs as possible. This was super handy when I came to vaccuming out all the nooks and crannys. Step 4. 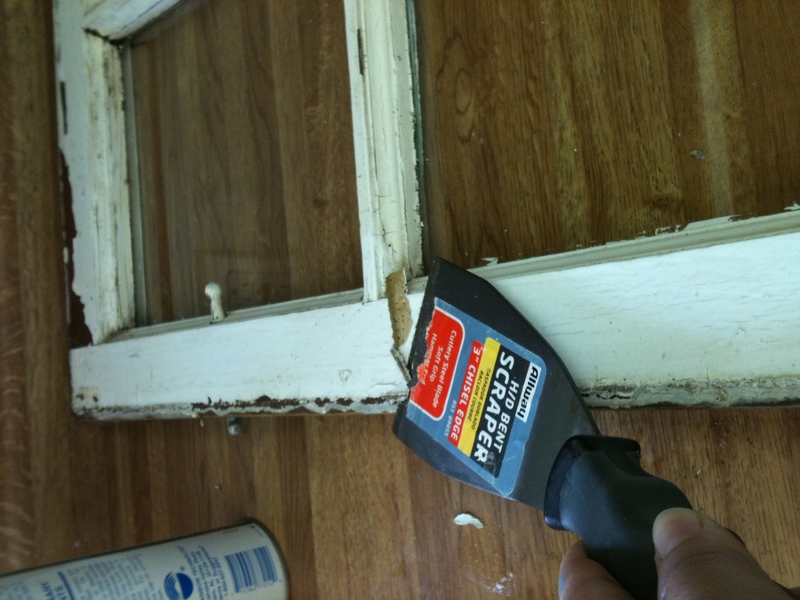 Next take your metal scraper and run it along the wood frame of the window. This will take off chipping paint pieces, globs of dirt, or any hard caulking that might be caked on. IMPORTANT: Do not get so vigorous with this step. If you get carried away you may break some of the delicate glass or break off some caulking that keeps the glass in its little square confinement. It is not necessary to take off all the old paint. Remember, we are going for a distressed wood look. After this is completed, repeat Step 3. Step 5. With warm soapy water and a good sponge, wash all the dust and build up off the window. After, dry with a good cotton rag. Step 6. Time to paint! 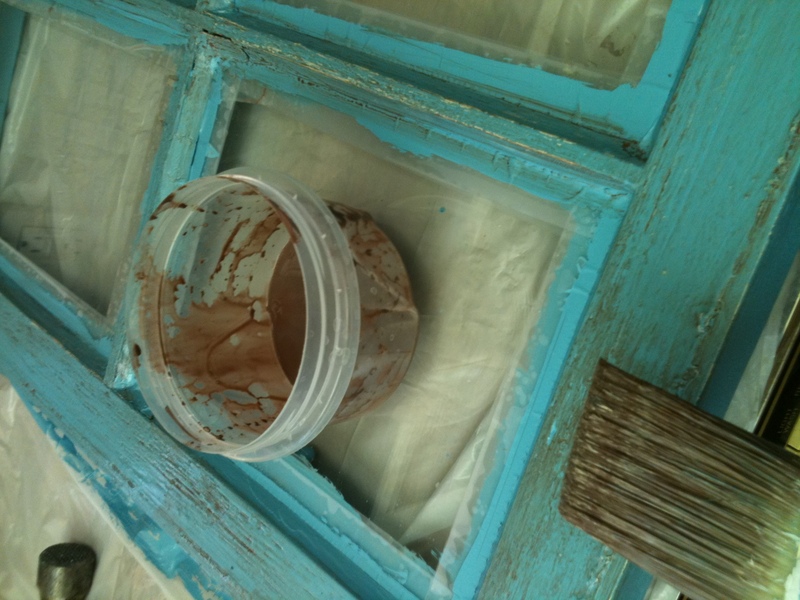 If your window has alot of old paint that you like on it, like mine did, you can probably skip with the base coat. Mine was a white color and was exactly what I was looking for. If not, paint the base coat on and let dry. Clean and ready for my top coat color. Step 7. Once base coat is dry, repeat with top coat color. I waited until my paint was almost completely dry, with very little tackiness then moved on to step 8. 45min to an hour. If you allow the paint to dry, its okay too. Just make sure you have some low grain sand paper on hand. 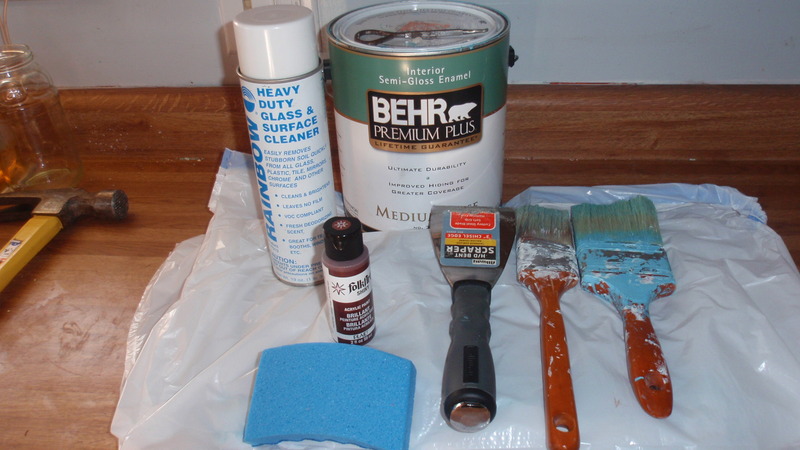 Step 8.If you just let the paint become "almost dry" you can skip this step but it is worth the read, just in case. 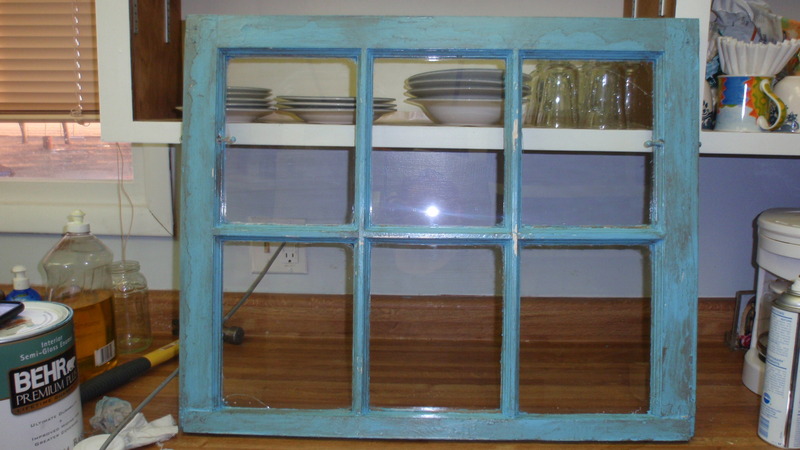 If you allowed your paint to dry, you now need to sand the window so that the base coat and bits of wood show through. This will give it that chipped paint look. There is no wrong way to do this step . Just sand till you reach your desired amount of aging on the wood. Step 9. Antiquing the wood. 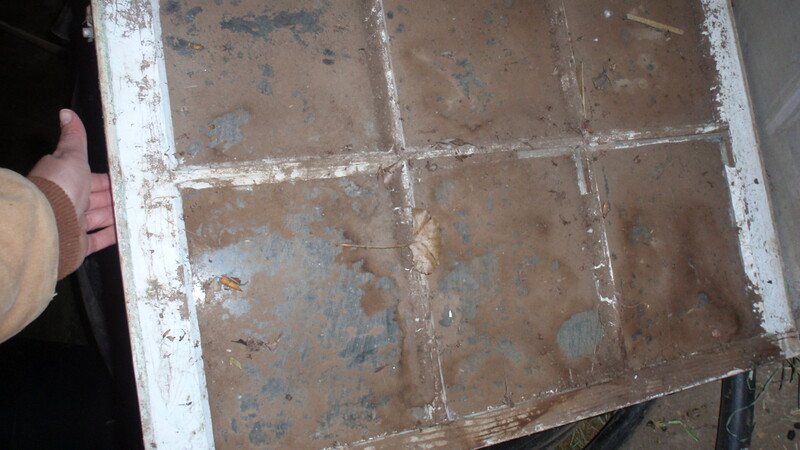 This is what gives it that weathered appearance. For this project I picked a brown acrylic craft paint (paint color was Maple Syrup), but depending on the look you want to accomplish, you can use grey or black. Just about any color will do but since I want it to look like aged and vintage, I went with brown. Take your brown paint and dilute it with water a in a small bowl . About one table spoon of paint to two table spoons of water. You want it to look like a muddy water. 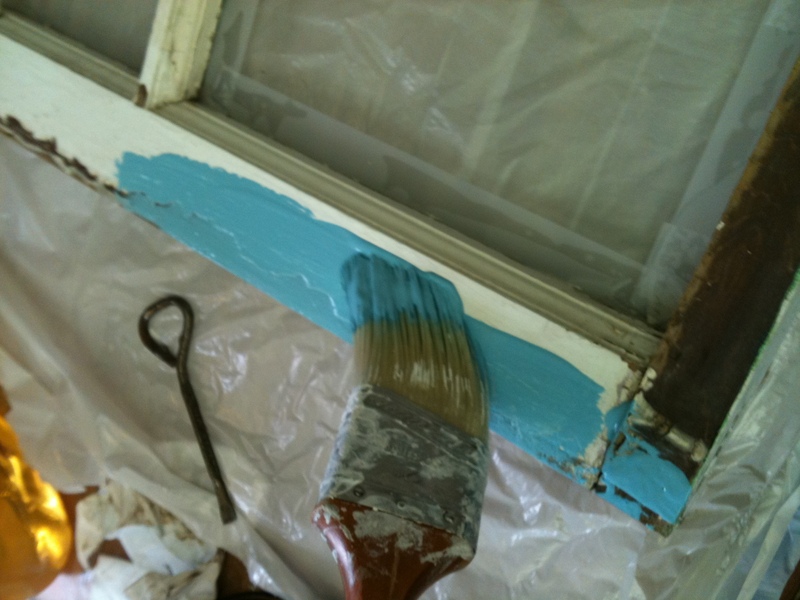 Brush this mixture on sections of the wood frame and and with the rags wipe it off. Continue painting sections, dont paint the whole frame then wipe. You may get the paint heavy on one side and light on the other. Remember , if you want a heavier age, you can always repeat this. Since my paint was tacky, wiping took off some of the top coat, allowing the old base paint to show through. Paint small sections and wipe for a more uniformed apperance. Step 10. Allow the window to dry and enjoy. Think of the possibilities! This window has six window panes so I opted for six pictures. You can place old newspaper, deco art, pressed flowers....the posibilities are endless. I took my pictures, and used the modgepog and an art brush to adhere them to the glass. TADA! So there you are, all the info you need to accomplish this awesome project on your own. Let me know how it goes!